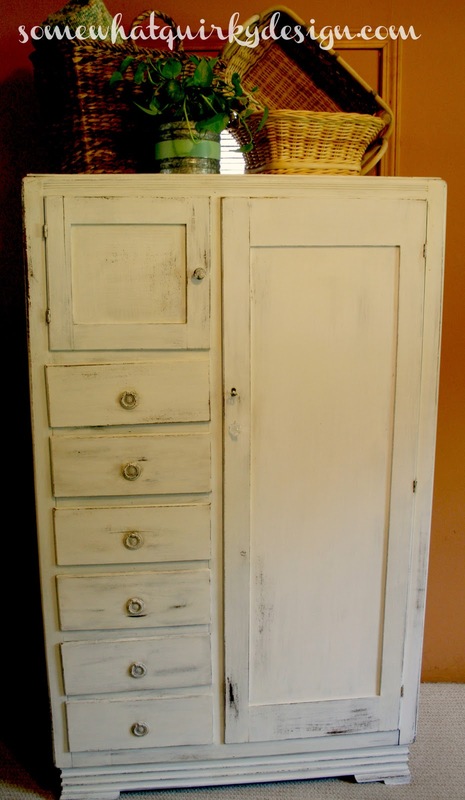 Danni had a small armoire that she wanted painted white. 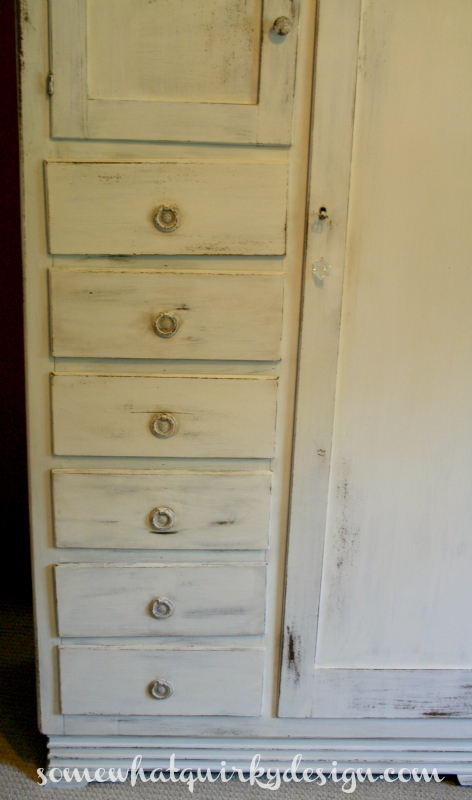 I wasn't positive but I thought the armoire would be a good candidate for Miss Mustard Seed Milk Paint. Some parts of the original finish were worn away which led me to believe that we might get some good reactions from the paint on the two different surfaces. 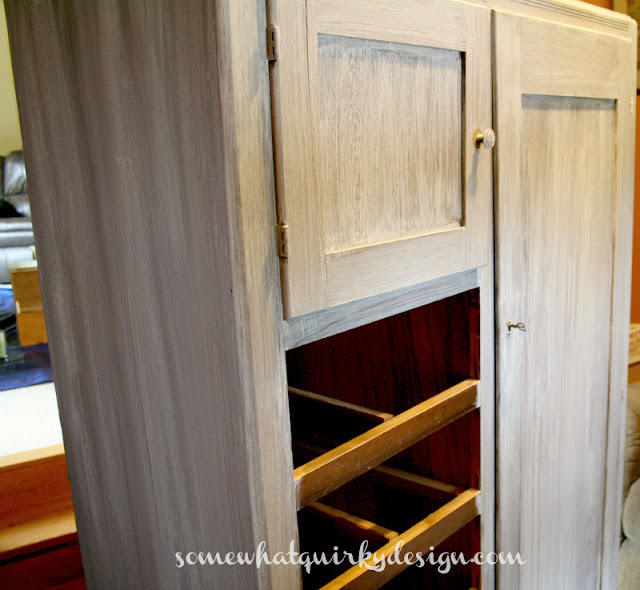 I have only worked with milk paint on small projects. So painting an entire piece with milk paint was a new experience for me. Sorry for the bad pictures, but that what before pictures are supposed to be, right? We mixed to the paint to the exact recommendations on the package. We mixed the entire package. The paint was still thin like milk. Here is what the armoire looked like after one coat of Miss Mustard Seed Ironstone Milk Paint. The pictures actually look like there was better coverage than there was. The sides were particularly hard to get coverage on. 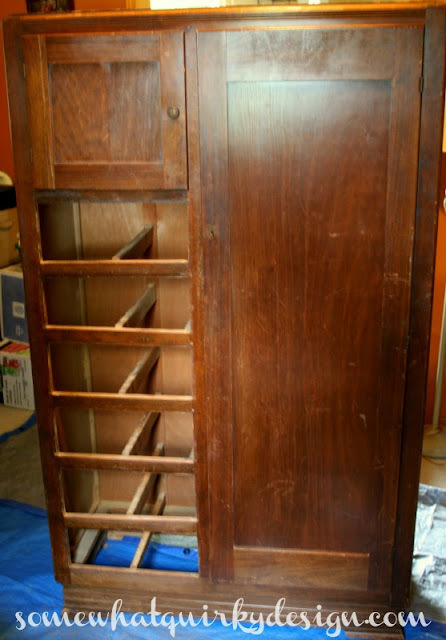 This is a very lightweight armoire. I believe that the large panels are a primitive laminate. Nothing like the laminate we see now, but was a thin sheet of some sort of pressed wood. 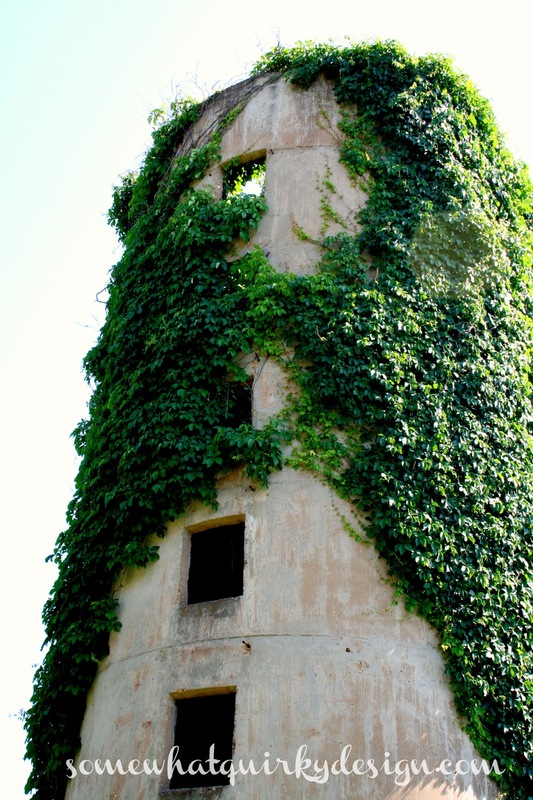 We used at least 5 coats of paint and the coverage never evened out. It was still streaky. But it was streaky white, rather than streaky white over brown. The streaks didn't bother me too much because our intent was for it to be rustic. Unfortunately we did not get much of the beautiful natural chippy goodness that you sometimes get with milk paint. The picture above shows the extent of the crackle that occurred. A note here about brushes. 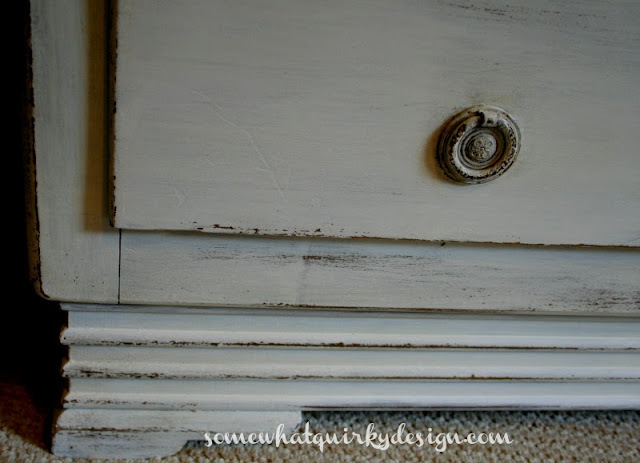 We tried out the chip brush, an Annie Sloan paint brush, and a Purdy 2 1/2 inch brush. Both of the nice brushes worked well. I did not care for the chip brush with the thinner paint. And a note about the milk paint. You can make it thicker than the package recommendations by using less than the called for water. One thing I noticed was that even with the blender mixing method, the powder tended to lay on the bottom of the container. Thus my most important tip. 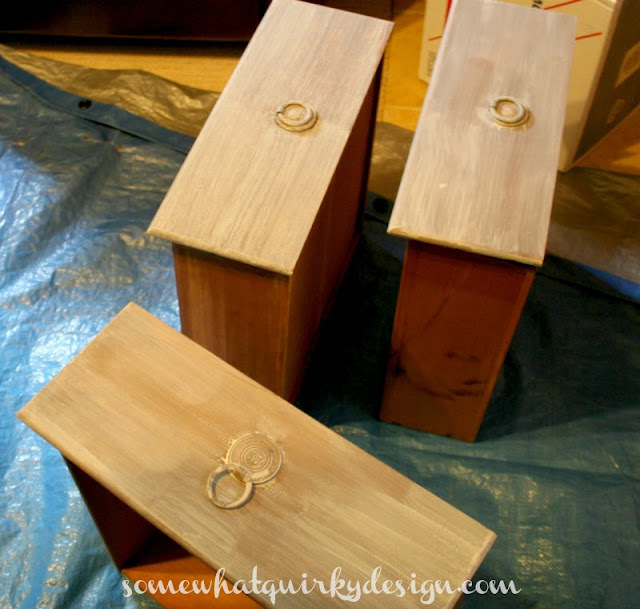 Mix the paint in a flat bottomed container. We used one that had bumps and I had a hard time getting the settled powder out of the lower spots. The paint dried so quickly that you could do your paint coats one right after the other. 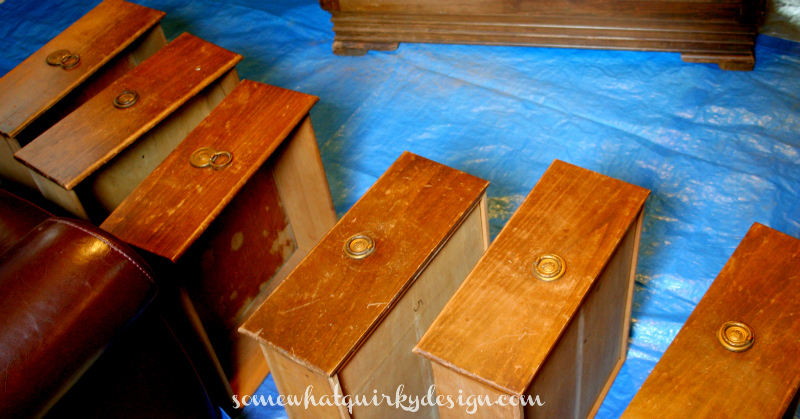 We sanded lightly and then waxed with Miss Mustard Seed Furniture Wax. The Antiquing Wax was used very sparingly. Then we did a second coat of the clear wax. The hardware was perfect for painting. 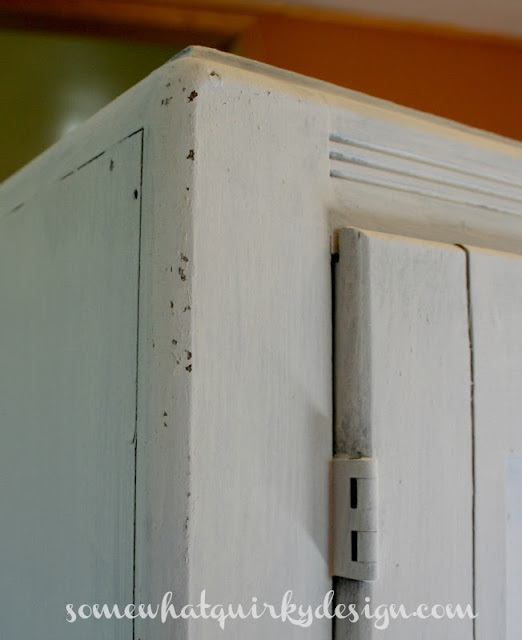 It is really cheapo hardware but it had nice details that look awesome painted and distressed. I really like the way this turned out. Danni wants to do some type of graphic on the big door, but I like it just the way it is. Danni is supposed to be painting the rest of her bedroom furniture. We should be able to see updates on that in the future. You can join me in nagging her to get it finished! But don't nag quite yet. She's been on vacation so we might give her a day or two. . . It was such fun visiting with Danni and her husband. Thanks Danni @ Silo Hill Farm, for your wonderful hospitality. I'm glad to have a friend off I-44 that can help me make my long trips more fun! P.S. 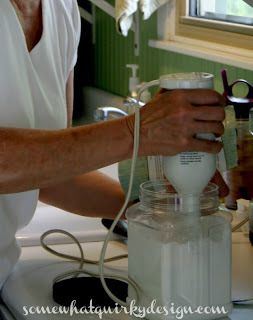 Again, we bought the Miss Mustard Seed Milk Paint from our friend Lorraine @Miss Flibbertgibbit. 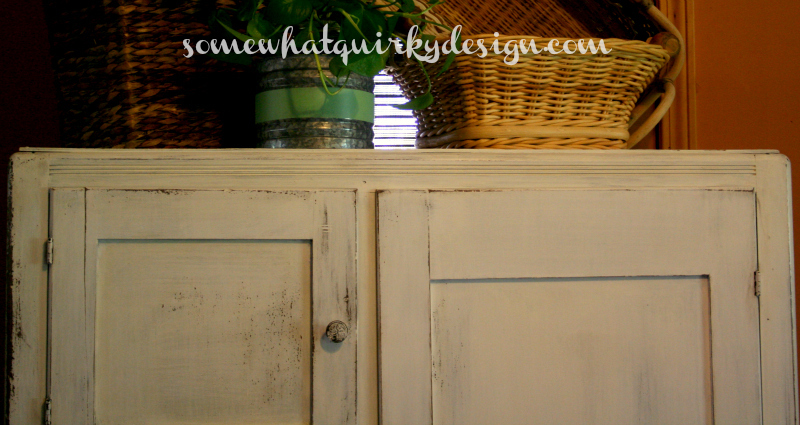 She sells both Miss Mustard Seed Milk Paint and the Powder River Paint here. You girls had some fun...I like how both pieces came out. I think I'll skip the whole milk paint thing. I definitely prefer the chalk. I'm thinking of mixing all my AS blues together- good tip to use the immersion blender. I love this piece Karen - beautiful job - but I'm with Danni on a graphic lol, sorry!!!!!! Looks great! 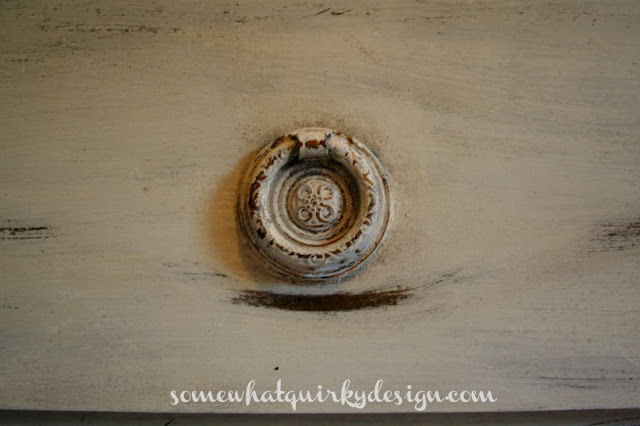 I haven't used milk paint on a big piece, but I will this fall. You guys really worked hard! Great piece! I too am with Danni. Any time I have a flat blank space I want to hand paint it or use a graphic! I had so much fun with you and the time flew! Thanks for teaching me so much in such a short time. I still look at that big plain door every time I walk by it and I'm still undecided! Maybe I'll finish the rest of the furniture and then make my decision. I just love those old cupboards! I like the white weathered finish and like you, I think it looks wonderful just as it is! It looks great, I would like it with or without a graphic. I also love those little ring pulls. I don't know why I didn't leave a comment here....I saw the post but maybe I was sidetracked! Oh well.......lots of Milk Paint instruction would have helped probably but too late now huh? I never use a blender for the paint but many folks do, especially if they have a large piece to paint. The rule is to just scrape off the foam and discard it. The chipping is really variable but there are ways to increase that too. Luckily you can practice at Haven with Marian! !